Ruth Anne Wood interviews Russ Hovendick, Author, Executive Recruiter, Career Coach, and Founder of the Directional Motivation organization shares the secrets to interviewing, career advancement, and success strategies for military veterans transitioning back into the private employment sector. Russ also shares with JV ATTRACTION the power of having a strong mission that rallies community passion, service and support. Russ Hovendick, is the author of the Directional Motivation book series, which includes three books, the first “How to get a raise; the correct way to ask for an increase in salary and wages”, the second “How to Interview What employers want to hear in today’s competitive job market” and his most recent release is “Deployment to Employment: A guide for military veterans transitioning to civilian employment”. Russ is a 20 year Executive Recruiter working with Fortune 500 organizations and is also a 25 year Volunteer Chaplain, working within the Prison, Jail, and Juvenile penal facilities of South Dakota. The Directional Motivation book series guides readers to new levels of success within their current workplace or in helping them in their pursuit of other career advancement opportunities. The series challenges the reader’s current mindset when approaching employment opportunities, bringing a whole new perspective to career development. According to recruiter and author, Russ Hovendick, anyone who wants to better their career and employment situation, can do so by following the advice he provides. 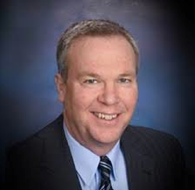 Russ has used his experience in working with Fortune 500 organizations, as well as small private manufacturing organizations, to compile resources that can benefit everyone in their own workplace. By applying the strategies provided in his books, and on his website, www.directionalmotivation.com , users will be able to see a difference in their opportunities for employment and advancement, as well as additional money in their paycheck. Russ has been interviewed by radio hosts and shared these career success strategies with hundreds across the country. Listeners will be energized and encouraged to explore their workplace from a whole new perceptive. Book Russ Hovendick, Author, Executive Recruiter to discuss…. How to put your career on the fast track and make yourself “Fireproof”. Russ Hovendick is an Author of three books dedicated to helping individuals with interviewing and career development. 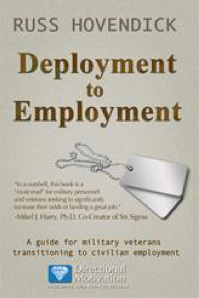 Russ’ books, “How to Get a Raise; The Correct Way to Ask for an Increase in Wages and Salary”, “How to Interview in Today’s Competitive Marketplace” and his new release “Deployment to Employment, A guide for military veterans transitioning to civilian employment”, which has been regarded as a “Vital Resource” for every transitioning veteran by the military community. Russ is founder of the Directional Motivation organization, which was created to help people rise to higher levels in their careers. The site provides extensive free resources to veterans transitioning back into the civilian workforce.